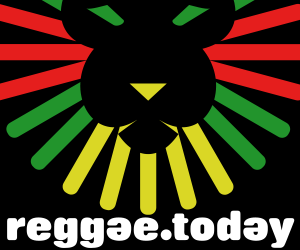 Ascolta Reggae Singles Vol.6 su Spotify! Reggae Singles vol.6 starts with Rock Stone, the masterpiece from Stephen Ragga Marley, featuring the legendries Sizzla & Capleton. Then we have the young Daniel Bambaata Marley, son of Ziggy Marley who sings Mantein, a song with classic reggae- roots sounds. The compilation is followed by Move Up, a soft reggae song by Dre Island. The beat then speeds up with Dizzy & Torch and their Never See We Fading and with the mystic Glory of the King by Iba Mahr. There is also a massive tune by the Brits Gappy Ranks with their Break Free which confirms their unique style. Then we have Black Bway/Let mi Guh the last hit by Jah Bouks and Africa Redemption with the collaboration of Pressure & Chronixx. Finally, we have three singles by Soja, which anticipate the release of their later work and General, a classic roots tune by a young promising Jamaican, Yung JR, son of Junior Reid. Reggae Singles Vol.6 si apre con Rock Stone, il capolavoro di Stephen Ragga Marley, accompagnato per l’occasione dai kings Sizzla e Capleton. Si prosegue con il giovane Daniel Bambaata Marley, figlio di Ziggy Marley, che propone Mantein, brano dalle classiche sonorità reggae-roots. La raccolta prosegue con Move Up, un brano soft reggae di Dre Island. Il beat accellera in Never See We Fading, con Dizzy e Torch in combo, mentre in Glory of the King Iba Mahr ci porta su territori mistici.Ancora una super tune dal britannico Gappy Ranks che in Break Free conferma il suo inconfondibile stile. Proseguendo nell’ascolto troviamo Black Bwoy/Let Mi Guh, l’ultima hit di Jah Bouks e Africa Redemption la nuova combination tra Pressure e Chronixx, oltre a ben tre singoli dei Soja, che in rapida successione anticipano l’uscita del loro nuovo album. Chiude Reggae Singles Vol.6 una classic roots tune dal titolo General, del promettente artista giamaicano e figlio di Junior Reid, Yung Jr.